Interested in the future of arts education in Kentucky and across the nation? You should be. You currently have the opportunity to give feedback on proposed changes and updates made to the national core arts standards. The national standards are available — in draft form — online. The standards haven’t been updated since the 1990’s and public input is being sought. You can make comments through July 15 as part of the National Coalition for Core Arts Standards (NCCAS) public review. The coalition of national arts and education organizations and media arts representatives developing the 2014 National Core Arts Standards recently released the PreK-8 standards. The new, voluntary grade-by-grade web-based standards are intended to affirm the place of arts education in a balanced core curriculum, support the 21st-century needs of students and teachers, and help ensure that all students are college and career ready. The Kentucky General Assembly, as part of Senate Bill 1 (2009), mandated new academic standards in all subjects including arts and humanities. The legislature directed the Kentucky Department of Education, in cooperation with the Council on Postsecondary Education, to consider standards that have been adopted by national content advisory groups and professional education consortia. Anyone with an interest is welcome to participate in the public review of one or more of the discipline drafts in dance, media arts, music, theater and visual arts. For instructions, visit the NCCAS website. For more information about the project, visit http://nccas.wikispaces.com, or the NCCAS Facebook page. Don’t miss this opportunity to make your voice heard on this important subject, and consider sharing this information with others in the arts and education communities. The arts council works every day to ensure that all Kentucky classrooms have the opportunity to integrate the arts. During National Arts in Education Week, we ask that you make an extra push to ensure that the arts stay in classrooms and students are equipped for their future. Read these five great suggestions from our arts education director. As our nation seeks to continue to be competitive in the global market, the concepts of innovation and creativity have come to the forefront of our educational focus; we’ve seen it here in Kentucky with the recent shift to focusing on 21st century skills. However, we all know that the arts are where students learn to think creatively. 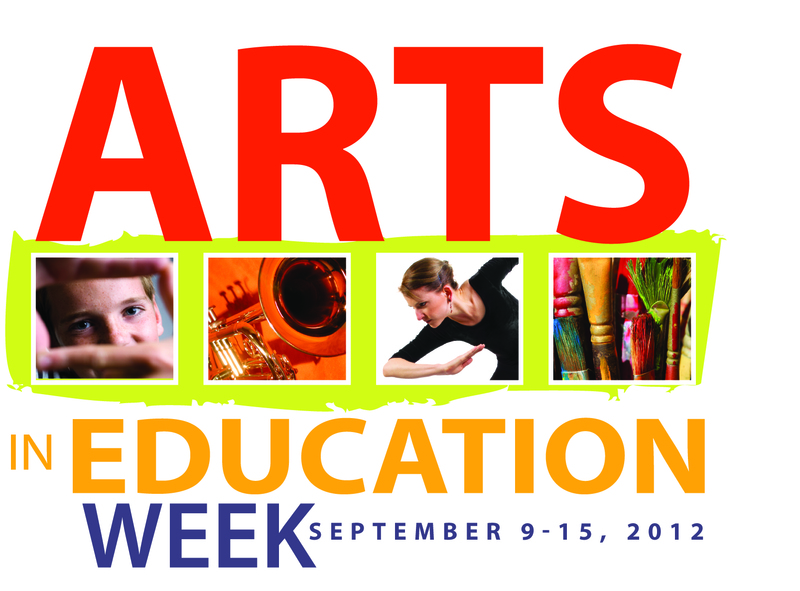 This week is National Arts in Education week. Let’s celebrate! Get the facts about arts education. In May 2011, The President’s Committee on the Arts and Humanities highlighted recent research concerning arts education. Click here to download the pdf. It is long. If you would like a shorter read, the executive summary contains the highlights of their research as well as recommendations for all arts education stakeholders. Know what school leaders can do to increase arts education in their schools. There is a great, short publication produced by the Arts Education Partnership. Click here to access it. Tell us how the arts are positively affecting your community. We want to hear about arts education experiences close to you! Please share them with us on our Facebook page or visit the “share your story” section of the arts council website. Write a letter to your local, state and federal officials about how arts education has affected you and your family. Send a card to your local arts educator thanking them for the work they do. I like to read articles about arts education…in my free time. I’m not talking about any ol’ feel good magazine article or newspaper opinion piece. I’m talking about research reports you have to find on databases like JSTOR and ERIC or download from organizations like the Arts Education Partnership. You know—the 30 plus page ones. I was even borderline giddy as I waited in line at Joseph-Beth Booksellers to purchase Dr. James Catterall’s book “Doing Well and Doing Good by Doing Art” (which I highly recommend). I’m fascinated by the impact the arts can have on a student’s education. It’s the reason I choose my career path. I had plenty of other opportunities in college—math, social work, history… the list is really quite long. On March 30, the National Endowment for the Arts (NEA) released a new research report on arts education. The research team, led by Dr. Catterall, looked at four different longitudinal studies to compare student involvement in the arts with academic and social outcomes. Amazingly (but not to us), the researchers found a high correlation between student involvement in the arts and higher test scores, higher levels of education and an increased likelihood to give back to the community. This is just what you need for writing grants, filling out final reports and creating annual reports for your art education programming. However, in my opinion, that isn’t the best part of the report. The best part is that students who are the MOST at risk in our schools—students from low-income homes and low-educational backgrounds— often perform as well as their peers when they are involved in the arts. In other words, the whole “achievement gap” issue disappears when you add the arts. WOW! Click here for a direct link to the study. It’s only 24 pages counting all of the colorful graphs. Also, if you are like me and want to know more about how the arts can help students, the Arts Education Partnership recently made their ArtsEdSearch site live. It’s a website where arts education research has been collected and summarized by age and type of arts engagement. I can’t even describe how amazing it is; it makes my heart melt just thinking about it.